Looking to move beyond Rowland Heights? Whether you are staying within Orange County, relocating to a different part of the state, or are going states away, our Rowland Heights movers are here to help. Believing that a good job is one that is well done, we strive to provide a superior service for our clients. Following our ‘safe and fast’ family company policy, we work to get your possessions to where they need to be. We understand how challenging it can be to move, and we strive to make it straightforward and transparent. Let us help you today. Feel free to fill out the free quote form or contact us directly with any questions or concerns you may have. Rowland Heights belongs to American cities with the greatest percentage of Asian people. Over 59% from total 50,000 living there, are immigrants from Asian countries or their children. Although most of these people are permanent residents of the country or have the USA citizenship, many of them still rent houses. The real estate in Rowland Heights as in most Californian cities is expensive, thus many families pay rent to householders, renting their houses or apartments. In this situation, especially if the rent rate changes, people often decide to relocate to another house. We all seek and find best place to live! Sometimes they seek for the less rent, in other cases they change work and need to live closer to their office. The crews are international. We work as one family, where Americans with Hispanic, Asian, German, English origins work. Many of our Rowland Heights movers know two or more languages. In case we see our client’s native language is not English, and we know, that we have crews, who speak it, we send them to his house. Flexibility of our company and mobility of our work, build the atmosphere of success inside the company and share it with clients. Our movers are smiley people, when they are at work. They do everything to turn each move into a memorable event, “painted” in bright colors. One more reason to choose moving company in Rowland Heights. Some of them turn to be neighbors of our clients. It makes the work easier. If our guys and a client have many things in common, when they can discuss easily different things – all this makes the day an easy and pleasant event. Our movers work much physically, but they never show bad mood and negative emotions. Our guys are the pride of our company. They know we trust them. No one of our guys can let himself do anything, that can spoil the reputation of our company, One of Best professional moving companies in Rowland Heights. We hire only positive, strong, healthy, and free from bad addiction men, who are ready to work on weekends and who can deal with heavy loads. Professional movers work in teams. In case you have a small household and need to move fewer amounts of things, we send you a crew of two guys. To large homes with four or even five bedrooms, we usually send two trucks and a team, which has four men in it. Coming in a truck, equipped with everything necessary to fix your belongings not to damage them, guys start to load the vehicle with your things the same time they come to you. It happens, if you packed and prepared all the things beforehand. We never insist that our clients are obliged to pack their belongings. We offer Rowland Heights professional moving service to our clients. Our crews will do it very fast and professional, wrapping your stuff into special package material. However, we always recommend you to pack things in advance as our men are paid hourly. 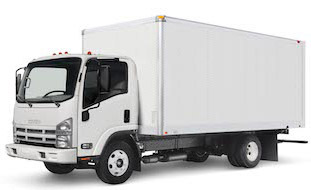 If your budget is tough, but you have your own truck, you can hire only guys, without the company vehicle. In this case, you pay only for their labor: loading the vehicle, disassembling belonging to you furniture, unloading the truck, when you come to your new home and assembling furniture. You must not pay anything extra to the team, when they finish their work. All payments are straightforward.